Come and luxuriate in our tranquil, quiet and very private suite including the most comfortable Cal-King Tempurpedic bed plus 3 comfy twin beds. Enjoy your private entrance and private porch with stunning views. We are only 15 minutes from town and we border Halter Ranch Winery that was named a top 10 Hot Winery brand. The ranch is conveniently located in the premier winery area. You will be taken aback by expansive 300 degree views that span over 50 miles to the back side of Big Sur and the back side of Hearst’s castle with views of vineyards and oak studded hills. Savor a glass of wine, gourmet coffee or tea on your private porch. At night you will enjoy a breathtaking sky. The peace and quiet of the ranch will envelop you and city tension will melt away. You’ll most likely see deer or perhaps elk grazing on the hillsides and if you are lucky you will come across wild turkey, feral pigs that escaped decades ago from Heart’s Castle, or bobcats who are very shy. Surely you will see our paint horse, Sunny. It will be an unforgettable adventure. Paso Robles Vacation Rentals in the Country offer the comfort of home in a countryside getaway. Staying in the country means peace and relaxation after a long day of wine tasting, a sky full of stars and a real feeling of an escape from the stresses of everyday life. Experience the real Paso Robles Wine Country lifestyle and plan a trip you won’t forget for your next trip to the Central Coast. 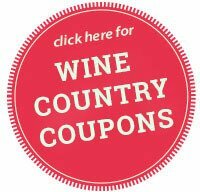 Checkout our list of country vacation rentals in Paso Robles below or find them on the go with our mobile website. Hours: Call or visit our website to book your reservation! Paso Robles Vacation Rentals Downtown offer the comfort of an urban getaway while still putting you right in the center of wine country. Staying downtown means you’ll be walking distance to wine tasting, restaurants, shops and live entertainment, which saves you time and money. The ease of travel from points of interest will make for a better, more relaxed vacation. Experience the comfort of home on your next trip to Central Coast Wine Country by staying at Paso Robles Vacation Rentals Downtown. Checkout our list of Downtown vacation rentals in Paso Robles below or find them on your way with our mobile website.